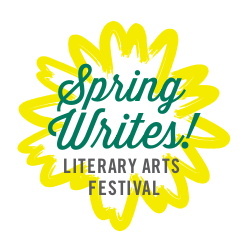 We are proud to participate in the 2018 Community Arts Partnership’s Spring Writes Literary Festival, taking place at several venues around Ithaca during the weekend of May 3rd to May 6th. Please join us for Who Cares About the Past? Transforming Personal Experiences into Art, a reading and panel discussion on Saturday, May 5th at Buffalo Street Books from 3:30 – 5:00pm. The reading and discussion will be moderated by Ithaca College professor Christine Kitano. For bios and more information please visit our events page.